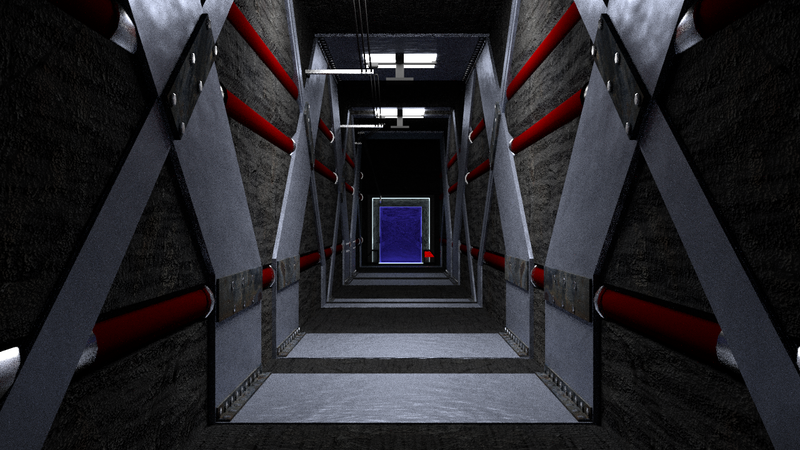 Here's the current work-in-progress shot of the TSA Hallway. I've been putting a lot of time into this area, reworking the meshes and doing a lot of texture work. After spending most of the day on the left-hand side, some very quick mirrors in Blender let me see the whole effect. Once the mirrors have been applied, it'll be a case of editing the meshes with photo textures to make sure they're not exact mirror images; I want the whole thing to feel organic, and that effect will be spoiled if you see the same texture on your left and right. Without further ado though, please enjoy the below shot :) As I watched it render, part of me wanted to reach out and touch the rock. That's how I want the final game to be; I want you to feel as though you're there. That sort of realism takes time; a lot of time. I'd like to take the opportunity for being so patient; I know you want to play it as much as I do.